let’s opt for not raging. Let’s do what we can. the drinking of port, the wearing of wool. all summer long and hid underground until now. we need to keep going. It might be enough. Don’t worry. 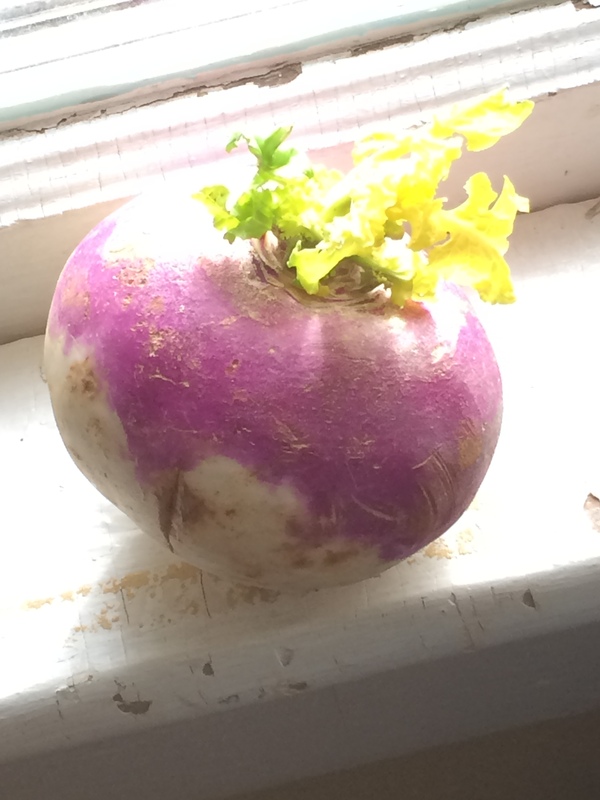 Something will turnip. This entry was posted in Anxiety/Depression/Yuck, Bloem or Pog, Healthy Health, Poetry and tagged roasted vegetables, seasonal affective disorder, time change. Bookmark the permalink. I love this. It so fits my mood at the turning of the season. I feel the need to savor the sunlight that those root vegetables soaked up, or at least savor the remembrance of it. And since you mentioned it, we have a bottle of port just waiting to be sipped by the warmth of the woodstove fire. Let it be. I said cheers to you last night when I had my second glass of port! Granmommy and Grandaddy would be pleased to see the root vegetables named – I remember Grandaddy pulling turnips from the garden and using his pocket knife to slice off pieces, eating them where he stood!